Seat Alhambra Performance, Engine, Ride, Handling | What Car? 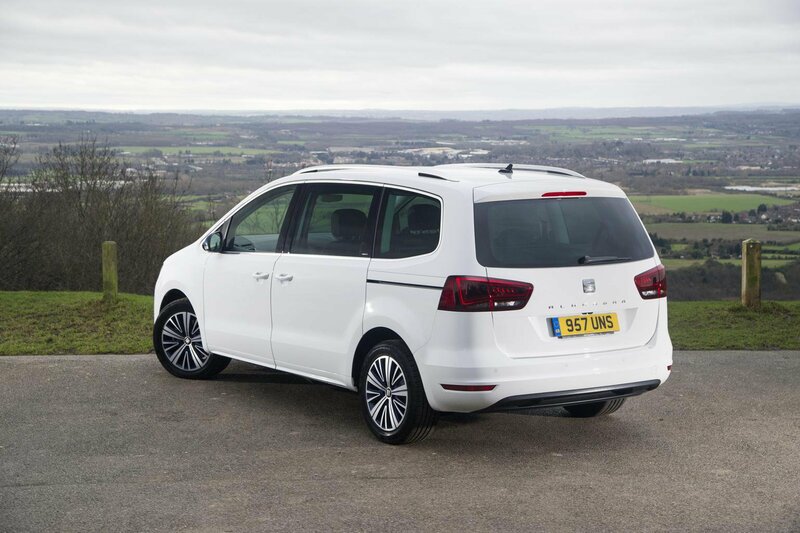 None of the Alhambra’s engines feel underpowered with seven on board and a boot full of luggage, but there’s no doubt the diesels feel more flexible when pulling from low revs up steep hills. The best balance, and our pick of the range, is the 2.0 TDI 150, because it has the pull large families need, but also emits the least CO2 and uses the least fuel. The manual gearbox is slick and precise whichever engine it’s paired with, while the automatic is quick to change once up to speed but can dither when pulling away. For the best refinement, you’ll want the entry-level 1.4-litre petrol. It’s by far the quietest engine under load and remains smooth no matter how many revs you pile on. Both the diesels by contrast sound gruff at high revs, especially when cold, and send more vibrations back though the pedals and steering wheel. 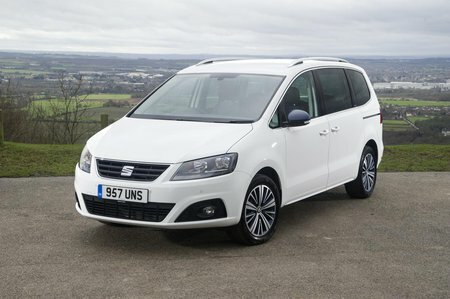 No MPV can claim to be outright fun to drive, but the Alhambra does a good job in the handling department. Okay, so Ford’s MPVs steer more urgently, but there’s enough weight and precision in the Seat’s steering for it to feel eager and body control in tight bends is very good. There are two types of suspension, either a Comfort setting standard on S and SE models, or the stiffer Sport set-up on SE Lux and FR Line cars. We’d definitely recommend going for the former, because even in its more comfortable state sharp-edge potholes and expansion joints can catch out the Alhambra.